The timing couldn’t have been more perfect. We were both starving, and it had been threatening to rain for the past ten minutes so we dived in the door of By CHLOE .Then, promptly left again as it was bang on lunchtime and it seemed half the city wanted to eat there. Finally, after twenty minutes we tried again and so entered London’s latest 100 % vegan restaurant! 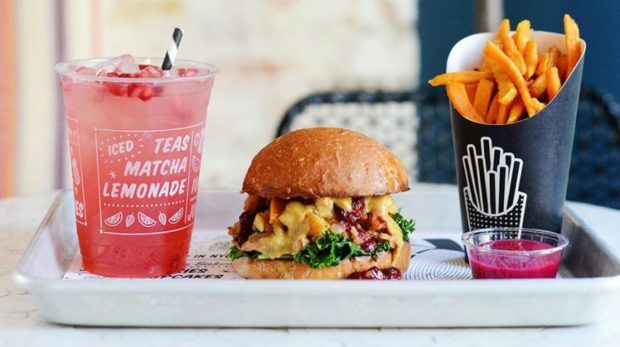 by CHLOE was co-founded by the amazingly talented Samantha Wasser, a Georgetown University graduate who’s made a name for herself building fast-casual brands. 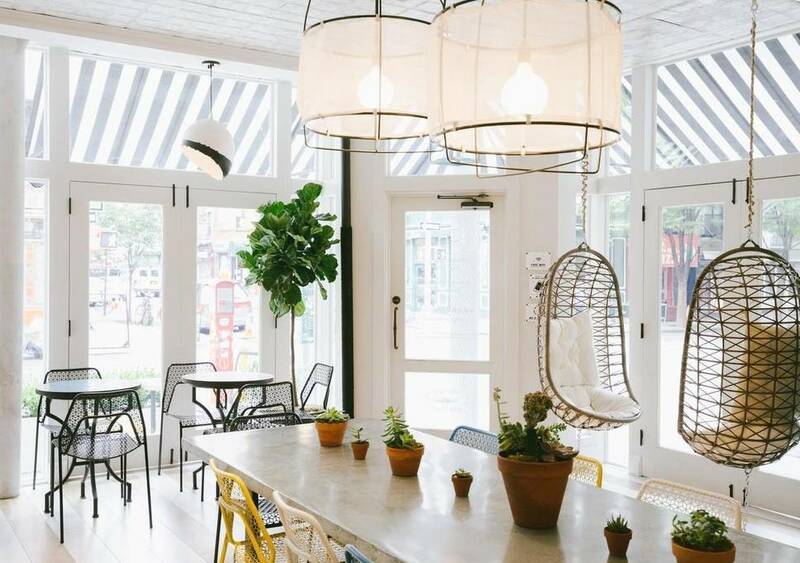 It’s not only an award-winning restaurant, but now has over eight branches including those in LA, Boston, NYC and, of course, Covent Garden, London. What this means is that they aren’t in the business of serving inferior dishes just because they’re quick to prepare. 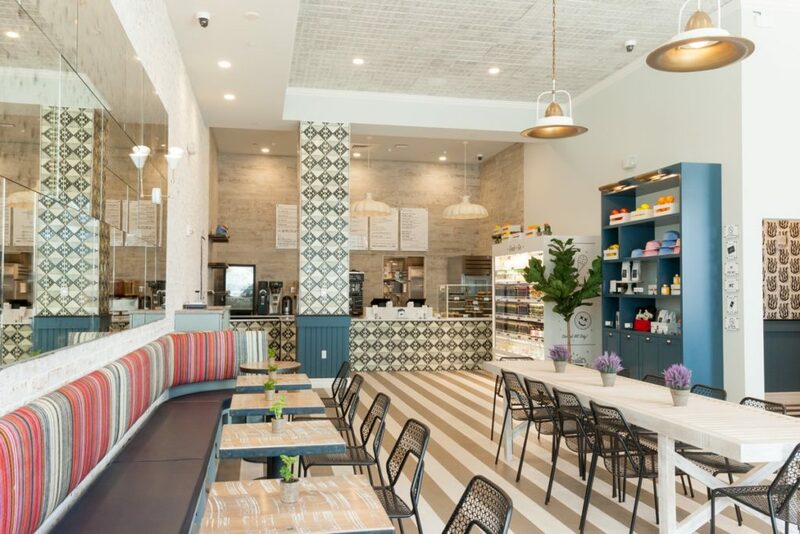 Nope, by CHLOE takes pride in the fact that each item on their menu is locally -sourced, naturally grown and made fresh that day by their chefs. By CHLOE is all about feeding the body, not just the mind and making sure their customers feel energised when they leave. So did a meat eater feel uncomfortable in a completely vegan cafe? Not at all, in fact, it was almost a relief to know that lots of ingredients were new to me, so no pressure. In the end, I went for the original air baked fries, which were ever so light and crispy and far superior to the ones you get in McDonald’s served alongside Avocado Pesto Pasta. Now, I’m not saying it was the best pasta bake I’ve ever eaten but boy does it come close! The pesto sauce was fresh, smooth and bright green, the grape tomatoes plump and juicy and the cashew crumb topping gave it a wonderful crunch. Portion sizes are pretty good here too, as well as the staff’s willingness to swap out ingredients or adjust dishes due to people’s dietary requirements. I’m still not sure what almond palm is but it tastes really, really good in pasta. For dessert, it had to be the raspberry tiramisu vegan cupcakes and in my opinion, they were good, not great but good. See, I’m used to a sweeter cake mix but it was still light and fluffy which as we all know is the mark of a good sponge. Somehow, despite an utter lack of dairy or eggs the tiramisu icing was spot on and the raspberry centre tasted fruity without being cloying. I even had a sip of my friend’s almond milk coffee and was pleasantly surprised that it tasted just fine. 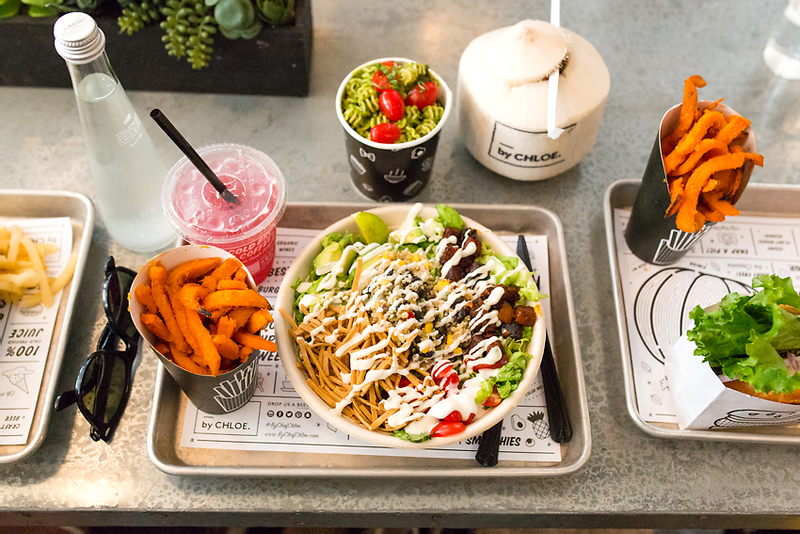 Overall, no matter what you do, or don’t eat by CHLOE will have something you’ll love on their menu! Just make sure to go early, or later on to avoid the lunchtime rush. It is self-service, but you do get an adorable little beeper that flashes and buzzes when your food’s ready so no need to around waiting. Instead, grab yourself a table and enjoy one of their fresh chilled juices and if you’re lucky you’ll spot a dog or two! Yes, they even do food for dogs including the awesomely named Organic Pupcakes. 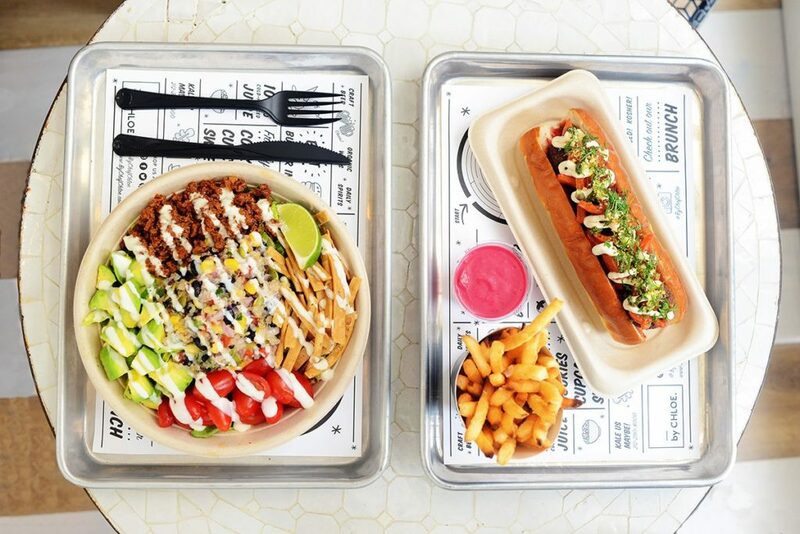 Honestly, lots of people think plant-based diets are boring but I can tell you at by CHLOE their food’s anything but!